Faith and contrition make prayer and supplication for the remission of sins effective, once evil deeds have been renounced, but despair and hardness of heart make it ineffectual. Thanksgiving for the benefits received from God is made acceptable by humility and not looking down on those who lack them. it is rendered unacceptable, however, by being conceited, as if those benefits resulted from our own efforts and knowledge, and by condemning those who have not received them. the Pharisee’s behaviour and words prove he was afflicted with both these diseases. He went up to the Temple to give thanks, not to make supplication and, like a wretched fool, mingled conceit and condemnation of others with his thanksgiving. For he stood and prayed thus with himself: “God, I thank thee, that I am not as other men are, extortioners, unjust, adulterers” (Luke 18:11). This entry was posted in Sayings from Saints, Elders, and Fathers, St. Gregory Palamas and tagged Conceit/Arrogance, Contrition, Despair, Faith, Hardness of Heart, Heart, Humility, Knowledge, Pharisee, Prayer, Publican and the Pharisee, Repentance, Thanksgiving on February 20, 2016 by ocqadmin. St. Ignatius Brianchaninov: You receive the Cup which seemingly comes . . .
You receive the Cup which seemingly comes from the hands of man. What is it to you whether the bearer of the Cup acts righteously or unrighteously? As a follower of Jesus, your concern is to act righteously; to receive the Cup with thanksgiving to God and with a living faith; and courageously to drink it to the dregs. This entry was posted in Sayings from Saints, Elders, and Fathers, St. Ignatius Brianchaninov and tagged Commandments, Eucharist, Faith, Righteousness, Suffering, Thanksgiving on October 24, 2015 by . 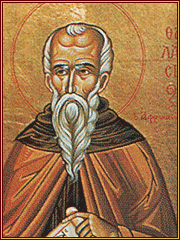 St. Barsanuphius of Optina: You need not be despondent. Let those … who do not believe in God . . .
You need not be despondent. Let those be despondent who do not believe in God. For them sorrow is burdensome, of course, because besides earthly enjoyment they have nothing. But believers must not be despondent, for through sorrows they receive the right of sonship, without which is impossible to enter the Kingdom of Heaven. This entry was posted in Sayings from Saints, Elders, and Fathers, St. Barsanuphius of Optina and tagged Belief, Belief in God, Burdens, Despair, Faith, Faith in God, Kingdom of Heaven, Living in the World, Material World, Sorrow, Suffering on August 26, 2015 by . 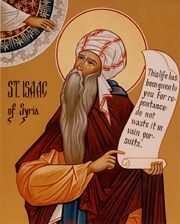 St. Isaac the Syrian: Do not reckon as a truly wise man . . . This entry was posted in Sayings from Saints, Elders, and Fathers, St. Isaac the Syrian and tagged Faith, Faith in God, Fear, Forsaking the World, Intellect, Material World, Wisdom, Worldliness on July 30, 2015 by . St. Anthony the Great: The truly intelligent man pursues one sole objective: to obey and to conform to the God of all. With this single aim in view . . . This entry was posted in Sayings from Saints, Elders, and Fathers, St. Anthony the Great and tagged Academics, Anger of God, Body, Body and Soul, Commandments, Discipline, Faith, Faith in God, God as Physician, Intellect, Knowing God, Medicine, Physician, Punishment, Quotes from the Philokalia, Requirements of God, Salvation, Soul, Spiritual Healing, Vengence of God on July 29, 2015 by . St. Sebastian Dabovich: I have heard people say that there are no demons or devils. . . . . This entry was posted in Sayings from Saints, Elders, and Fathers, St. Sebastian Dabovich and tagged Darkness, Demons, Faith, Fifth Sunday after Pentecost, God as Light, Light, Light and Darkness, The Evil One on July 6, 2015 by . St. Sebastian Dabovich: . . . the deeds of an Elias, a Moses, the works of a Peter, a Paul, and the wonders of . . . This entry was posted in Sayings from Saints, Elders, and Fathers, St. Sebastian Dabovich and tagged Apostle Paul, Apostle Peter, Faith, Lives of the Saints, Miracles of Saints, Moses, Scripture Gospel of John, St. Nicholas of Myra, St. Panteleimon, The Church on July 2, 2015 by . 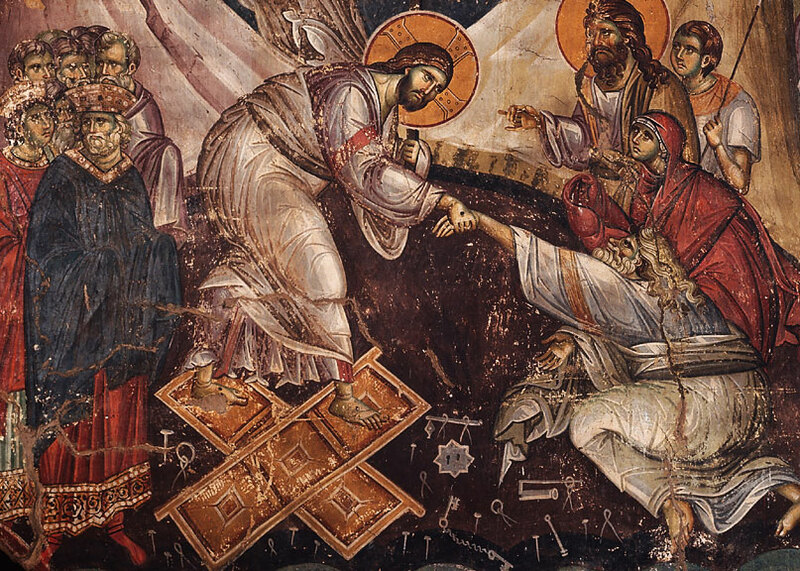 St. Theophan the Recluse: . . . here is the path-start walking! 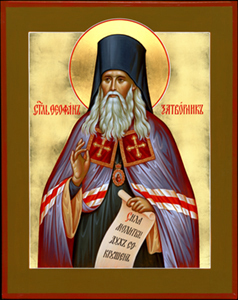 This entry was posted in Sayings from Saints, Elders, and Fathers, St. Theophon the Recluse and tagged Commandments, Faith, Grace of God, Theosis on July 1, 2015 by . St. Thalassios the Libyan: The person advancing in the spiritual life studies three things . . . 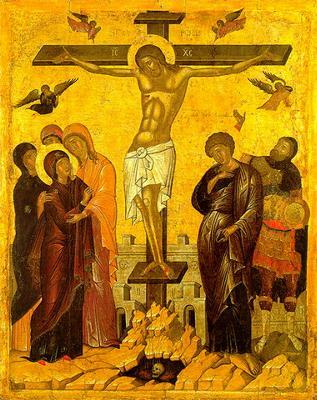 This entry was posted in Sayings from Saints, Elders, and Fathers, St. Thalassios the Libyan and tagged Commandments, Dogma, Faith, Living Orthodoxy, Quotes from the Philokalia, Short Quotes, Spiritual Life, Trinity on May 28, 2015 by .